Customised cable and rope specialist Cortland Company has received full endorsement from the National Association of Testing Authorities (NATA) for its inspection and testing facility in Western Australia. The facility has received ISO/IEC 17020 and ISO/IEC 17025 accreditation for the testing and inspection of high performance round slings and ropes used in a range of industries along with associated fittings and hardware. NATA accreditation formally recognizes the facility’s competency in performing specific types of testing and, inspection, in compliance with international and Australian standards. 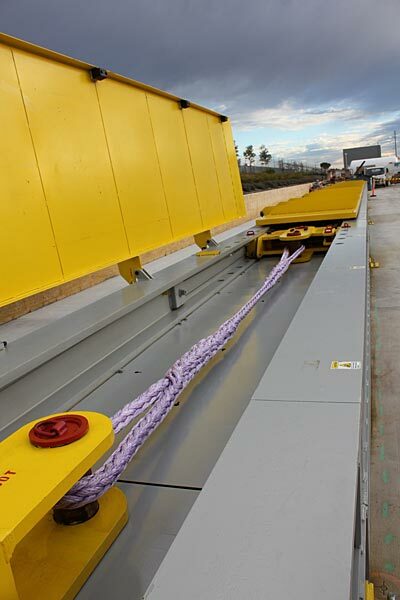 Cortland’s specialist testing equipment includes a recently commissioned 600Te synthetics test bed, which combined with Australia’s largest round sling machine allows the facility to engineer, manufacture and certify high performance rigging solutions. Services at the facility focus on destructive testing, proof-loading, and re-certification of synthetic fibre ropes and slings up to 600 metric tonnes. The new test equipment has been designed to accommodate large rigging assemblies and cope with the increased elasticity seen in synthetics. The company is experienced in delivering world-class solutions to maximise performance, safety, and efficiency for customers in industries including, oil and gas, subsea engineering, defence, and medical markets.